You can’t invite the Devil into your home and not expect him to take over. Lust will wreak havoc on your life if you let it. It will take more from you than you can afford to lose. It will cost you more than you can replace. It’s important to understand the power of lust and use it to your benefit in your marriage and only with your spouse. If you can keep lust and love in bounds, it will strengthen your relationship beyond understanding. You will be so deeply in love with your spouse that doing a term of life together will not be a hard thing to ask. It will be rewarding along the way. Your struggles will look easy to others and feel easy to you because true love is just that powerful. Don’t be tricked into doing what the rest of the world is doing. Lean on and trust in the blueprint for healthy love. Make love revolve around your spouse and nothing else. Keep love in bounds, and indulge in it. Let it make you stronger. Keep finding ways to love deeper, and don’t turn your back on real love. You will see people flaunt different types of relationships, and some will brag on them out of ignorance. But be not moved. They are bragging about their sexcapades, not because it’s healthy but because they are trying to convince themselves that they’re okay. If they can convince you to try it and to believe that it’s healthy and normal, it validates their actions and keeps the cycle of confusion going. One day there will be enough evidence and enough real confessions to show that this is not the way to go. If you have to lose yourself to keep someone else happy, you are in the wrong relationship. Pack your bags, and run like crazy. Have you ever let lust get the best of you? Have you ever stepped outside of your relationship? If so, what happened? Do you believe strong lust for your spouse can be dangerous? If so, why? If you don’t lust after your spouse, do you feel something is wrong? If so, why? Do you think it’s ever okay to let your spouse step outside of the relationship? If so, why? If your spouse asked you for permission to step outside of the relationship, what would your answer be? Why? Lust out of bounds will destroy your marriage. It is not normal or healthy to invite a third party into your bed. If you have to lose yourself to keep someone, that’s not love. Lust, unlike thirst, cannot be quenched. Want to know more secrets about how to succeed in finding and keeping love? 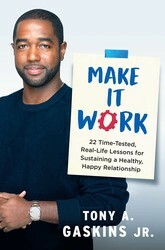 Check out MAKE IT WORK by Tony Gaskins Jr.! Excerpted from Make It Work by Tony Gaskins Jr. Copyright © 2019 by the author. Used by permission of the publisher. All rights reserved. 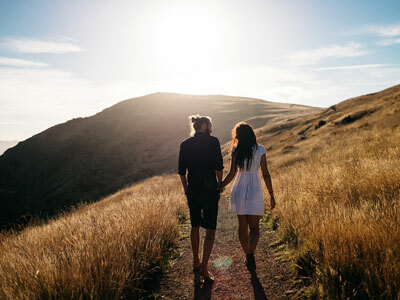 Practical and accessible, and delivered in the empowering, empathetic tone his devoted following has come to love and trust, Make It Work walks you through a series of essential lessons on how to maintain a healthy and long-lasting relationship. Drawing inspiration from the Bible and from his own personal failures and successes, Gaskins offers a framework for how to recognize the right person to settle down with, how to set standards that promote loving relationships—and what to avoid in a successful union. Make It Work arrives as a hopeful response to a culture where breakups and divorces are all too common, and it serves as a vital resource to help your relationship thrive today.